NYC, 05/09/2019, 2:00PM. 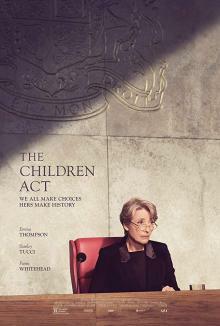 The Children Act (2017): Drama with Emma Thompson. 105 min. Director: Richard Eyre. Production was set to begin in London in October 2016, and it was reported on December 8, 2016 that filming had wrapped. The Children Act had its world premiere at the 42nd Toronto International Film Festival on 9 September 2017.